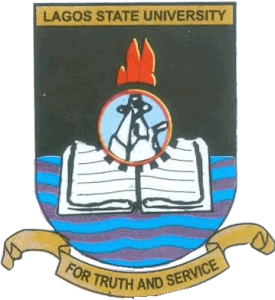 All applications are invited from suitably qualified candidates for admission into the Lagos State University Foundation Programme which shall commence in August, 2017. The foundation programme shall run for twelve (12) calendar months beginning from August, 2017 to July, 2018. The Programme center is located in the Lagos State University at the Foundation Programme center, ASCON Road, Topo, Badagry, Lagos State. 1. Five (5) Ordinary Level Credit Passes in relevant subjects, including English Language. For candidates who intend to study courses in Medicine/Dentistry/Nursing/Agric Science, Science Education, Social Sciences, Management Sciences and Engineering, Credit Pass in Mathematics is compulsory. 2. Students who meet the admission requirements will be invited for a written qualifying examination. 3. Successful candidates will be required to pay a non-refundable acceptance fee of Twenty Five Thousand Naira only (N25,000.00). 1 Arabic Studies Five ‘O’ Level credit passes in English Language, Arabic and three other relevant subjects. 2 Christian Religious Studies Five ‘O’ level credit passes in English Language, CRK and three other relevant subjects. 3 Theatre Arts Five ‘O’ level credit passes to include English Language, Literature-in-English and three other Arts subjects. 4 Music Five ‘O’ level credit passes to include English Language, Mathematics and three other Arts subjects. 6 French Five ‘O’ level credit passes in French and English Language plus at least one other Arts subjects. 7 History and International Studies Five ‘O’ level credit passes to include English Language, Geography, Government/History. 8 Islamic Studies Five ‘O’ level credit passes to include English Language and Islamic Religious Studies or Arabic. 9 Philosophy Five ‘O’ level credit passes in English and four other Arts and Social Science subjects. 1 Education & Chemistry Five ‘O’ level credit passes in Mathematics, Chemistry, English Language and two of Physics, Biology and Agric. Sciences. 2 Education & Yoruba Five ‘O’ level credit passes including English Language and Yoruba. 3 Education and Biology Five ‘O’ level credit passes in English Language, Biology, Chemistry, Mathematics and one other subject. 4 Education & Islamic Studies Five ‘O’ level credit passes including English Language and Islamic Religious Studies. 5 Education and French Five ‘O’ level credit passes to include English Language and French. 6 Education & Geography Five ‘O’ level credit passes to include Geography, English Language and Mathematics. 7 Education & History Five ‘O’ level credit passes in English Language, History and other relevant Arts subjects. 8 Education & Physics Five ‘O’ level credit passes to include English Language, Physics, Mathematics and two other Science subjects. 9 Physical & Health Education Five ‘O’ level credit passes in five subjects including English Language, Biology and ……. Equivalent. 10 Education & English Language Five ‘O’ level credit passes to include English Language and Lit.in English plus three other Arts subject. 11 Education & Christian Religious Studies Five ‘O’ level credit passes in five subjects including English Language, CRK and one other Arts subject. 12 Education & Arabic Five ‘O’ level credit passes in relevant subjects including English Language and Arabic. 13 Education & Economics Five ‘O’ level credit passes to include English, Economics and Mathematics. 14 Education & Political Science Five ‘O’ level credit passes including English, Mathematics, History/Govt. and any other two subjects. 15 Education & Guidance and Counselling Five ‘O’ level credit passes including English Language and four other relevant subjects. 16 Education & Mathematics Five ‘O’ level credit passes including Mathematics, English Language, Physics and any two Science subjects. 17 Education & Computer Science Five ‘O’ level credit passes including Mathematics, English Language, Physics and any two Science subjects. 1 Electronics & Computer Engineering Five ‘O’ level credit passes including Mathematics, Physics, Chemistry and English Language. 2 Mechanical Engineering Five ‘O’ level credit passes to include Physics, Chemistry, Mathematics, English Language and any other Science subject. 3 Civil Engineering Five ‘O’ level credit passes to include Physics, Chemistry, Mathematics, English Language and any other Science subject. 4 Aeronautic Engineering Five ‘O’ level credit passes to include Physics, Chemistry, Mathematics, English Language and any other Science subject. 1 Common and Islamic Law Five ‘O’ level credit passes in Arts or Social Sciences to include English Language and Islamic or Arabic. 1 Chemistry Five ‘O’ level credit passes in English Language, Mathematics, Physics, Chemistry and Biology. 2 Fisheries Five ‘O’ level credit passes in English Language, Biology, Chemistry, Mathematics and any other subject. At least a pass in Physics is required. 3 Botany Five ‘O’ level credit passes in English Language, Mathematics, Biology, Chemistry and Physics. 4 Zoology Five ‘O’ level credit passes in English Language, Mathematics, Biology and two other Science subjects. 5 Mathematics Five ‘O’ level credit passes including English Language, Mathematics and Physics or Chemistry. 6 Computer Science Five ‘O’ level credit passes to include English Language, Mathematics, Physics plus two other Science subjects. 7 Microbiology Five ‘O’ level credit passes in English Language, Mathematics, Chemistry, Biology and Physics. 8 Physics Five ‘O’ level credit passes in English Language, Mathematics, Physics and Chemistry/Biology. 9 Biochemistry Five ‘O’ level credit passes in English Language, Biology, Mathematics, Chemistry and any one of Health Science, Statistics, Physics and Geography. 1 Public Administration Five ‘O’ level credit passes including English Language, Mathematics and Government with any other two subjects from Social Sciences, Management/Management Sciences. 2 Industrial Relations and Personnel Management Five ‘O’ level credit passes including English Language, Mathematics and Economics/Commerce with any other two subjects from Social Sciences/Management Sciences. 3 Insurance Five ‘O’ level credit passes including English Language, Mathematics and Economics with any other two subjects from Social Sciences/Management Sciences. 1 Geography and Planning Five ‘O’ level credit passes in English Language, Geography and any three subjects from Arts or Social Science with at least a pass in Mathematics. 2 Psychology Five ‘O’ level credit passes in Government or History, English Language, Mathematics and two other subjects. 1 Transport Five ‘O’ level credit passes in English Language, Mathematics, Physics and two (2) of the following: Chemistry, Economics, Geography, Accounting and Further Mathematics. 1 Journalism Five ‘O’ level credit passes in English Language, Lit-in-English, Mathematics and any other two subjects from Social Sciences, Arts or Science. 2 Public Relations and Advertising Five ‘O’ level credit passes in English Language, Lit-in-English, Mathematics and any other two subjects from Social Sciences, Arts or Science. 3 Radio & Television Broadcasting Five ‘O’ level credit passes in English Language, Lit-in-English, Mathematics and any other two subjects from Social Sciences, Arts or Science. 1 Medicine and Surgery.MB.BS Five ‘O’ level credit passes in English Language, Mathematics, Physics, Chemistry and Biology. 2 Dentistry.BDS Five ‘O’ level credit passes in English Language, Mathematics, Physics, Chemistry and Biology. 3 Nursing.BNSc Five ‘O’ level credit passes in English Language, Mathematics, Physics, Chemistry and Biology. The course allocated will be determined by the level of performance. Students will sit for JUPEB examination at the end of course and will be able to transit to 200L into any of the JUPEB Affiliated Universities. (a) Successful candidates that will be enrolled in the degree programmes at the 200 level must purchase the Direct Entry JAMB form. (b) Students who failed may be allowed to repeat the programme. (c) On admission, if any student voluntarily withdraws from the Programme, request for refund of school fee can only be made by such student before the end of First Term of the Calendar Year. Any request made after that period will NOT be entertained. The closing date for the Submission of application forms is One (1) month from the date of this publication, i.e., Saturday, 24th June, 2017. DATE FOR THE QUALIFYING EXAMINATION: A qualifying examination for admission into the Programme holds on Saturday, 8th July, 2017, at the LASU Foundation Programme Location, Topo Road, Badagry. LATE APPLICATION: Late application may be entertained from Monday, 10th July, 2017, to Saturday, 29th July, 2017. Application costs Twenty Thousand Naira (N20, 000.00) only. LATE QUALIFYING EXAMINATION: Late qualifying examination holds on Saturday, 5th August, 2017. COMMENCEMENT OF LECTURES: Lectures commence on Monday, 4th September, 2017. GENERAL INFORMATION: The programme is non-residential. Candidates offered admission into the programme will have syndicated rental hostel accommodation together with transportation. Note: At the end of the intensive programme, courses shall be allocated to successful candidates on merit.